Self-catering Gîte with 9 bedrooms and 6 bathrooms. Sleeps 20. Non-applicable changeover. Self-catering Gîte with 11 bedrooms and 10 bathrooms. Sleeps 22. Saturday changeover. Self-catering Villa with 5 bedrooms and 3 bathrooms. Sleeps 10. Non-applicable changeover. Chalabre is located in Aude in the Languedoc Roussillon region of France. A plus beaux villages de France, particularly lovely in May / June when the houses are adorned with roses, a gift to householders from a past municipality. Nearby Chalabre tourist attractions such as as Basilica of Saint-Nazaire (Basilique St Nazaire) (38 km), Carcassonne (38 km), Cite de l'espace, Toulouse (78 km), or Castillet, Perpignan (79 km) will keep you occupied. See our directory above for more information and advice on accommodation nearby or you can jump straight to accommodation in Chalabre or take a look at property for sale in Chalabre. 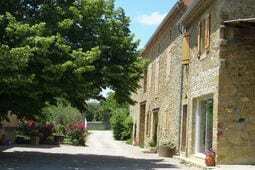 Some of the common queries we have received from other visitors related to visiting Chalabre in France include cottage south france, cottages south france, Holidays French Riviera. If you pass through Chalabre leave a suggestion using the link above, we would love to hear from you and other users will appreciate your knowledge.